MacWet fan and professional rider Charlotte Alexander has been featured on the cover of Horse and Hound proudly wearing her MacWet gloves. She also shares her thoughts, adventures and experiences with former race horse Denman as he embarks on a second career as a riding horse in her fantastic Denman’s Diary, which is guaranteed entertainment! It’s been a busy month for Charlotte, with adventures including a visit to the Cotswolds and meeting Adam Henson, the presenter of BBC Countryfile. Denman also managed to jump his first hedge, which was captured in a fantastic photo where the MacWets are again very visible!! MacWets are a vital part of Charlotte’s equipment because they provide fantastic sense and communication between the rider and the horse through their breathable and sensitive material which allows the rider to really feel the responses of the horse, which is particularly vital when training a horse. 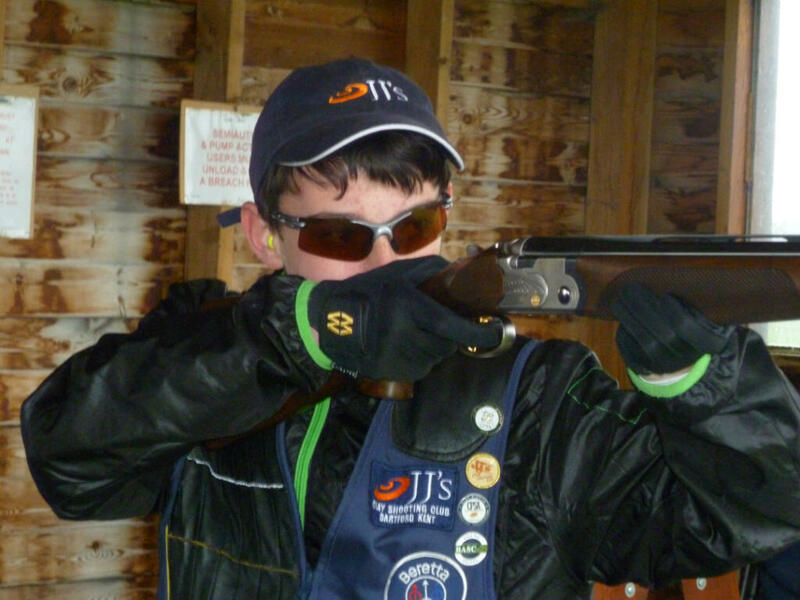 MacWet are delighted to sponsor one of the newest stars of the shooting circuit, a hugely talented young man who is already shaping up to be one of the most sensational future stars of Clay Shooting in the UK. MacWet wish Ronnie Green all the best and are proud to sponsor and support this clay shooting superstar of the future all the best in all his achievements. MacWet are delighted to announce the winners of the MacWet fishing photography competition, which celebrates two of our favourite hobbies: fishing and photography. We asked our fans to get out of doors in all weathers (with their MacWets on of course) and take photographs of their finest catches of the season. It wasn’t just about the size of the fish in the photographs, though, it was also about the joy and fun that came through in the images and of course the camerawork! Our overall winner was Mrs Joe Meyer, who posed with an enormous fish on this boat and clearly looks delighted with this magnificent catch! Our second winner was submitted by Fishing UK and shows a delighted fisherman and his very fine catch. Our third winner was Lucy Bowden, from the popular blog Fishing for Everyone. We particularly liked the patterning on this fish- great camerawork! Although the competition is now closed, we are always delighted to receive pictures of you with your proud catches, so please keep sending them to us and we will sporadically feature the very best right here on the blog! This picture was taken in the Gulf of Mexico off the shores of Destin, Florida. I was with my partner, MacWet sponsored rider Joe Meyer, and it was an exceptionally rough and wet ride off shore in post hurricane seas. I managed to catch this Gag Grouper by stealing the last live Croaker bait fish out of the live well and this grouper hit hard and fast and gave me a good hour fight in the belt to the boat. I have to give a plug to MacWet gloves as I have always been a non glove wearer due to the wet, humid and hot conditions in Florida but I am a real convert and now steal Joe’s MacWets for my own use both riding and fishing. They truly are still unbelievably comfortable in the worst weather conditions that we have here in the South!